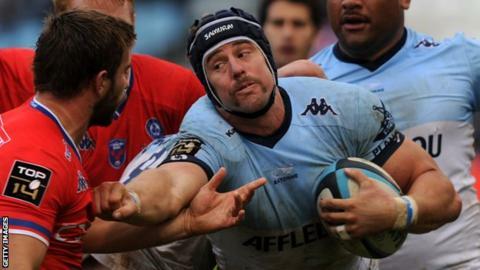 Irish province Munster have signed Australian second row Mark Chisholm. The Bayonne player will join the province on a two-year contract subject to obtaining a valid work permit and medical and fitness clearance. The 33-year-old from Queensland won 58 caps for Australia between 2004 and 2010, scoring six tries. "Mark's skills have been showcased for many seasons at club and international level," said Munster Rugby chief executive Garrett Fitzgerald. Having made 102 appearances for Super Rugby side Brumbies, Chisholm moved to French Top 14 outfit Bayonne in 2011. He played for Bayonne 89 times, captaining the side for three seasons. "Known for his athleticism and physicality, he will be a huge addition to the side, with his abilities as a leader also proven," Fitzgerald added. "We look forward to the talent and wealth of experience Mark will bring to the province."